A high score in the exam, the culmination of 12 years in a notoriously stressful education system, is seen as opening the way to a prestigious university and a life of opportunity. Foreign institutions are also getting into the act, with the University of New Hampshire this year wooing students with high exam scores for the first time. Some Western clothing brands recognize the high stakes. 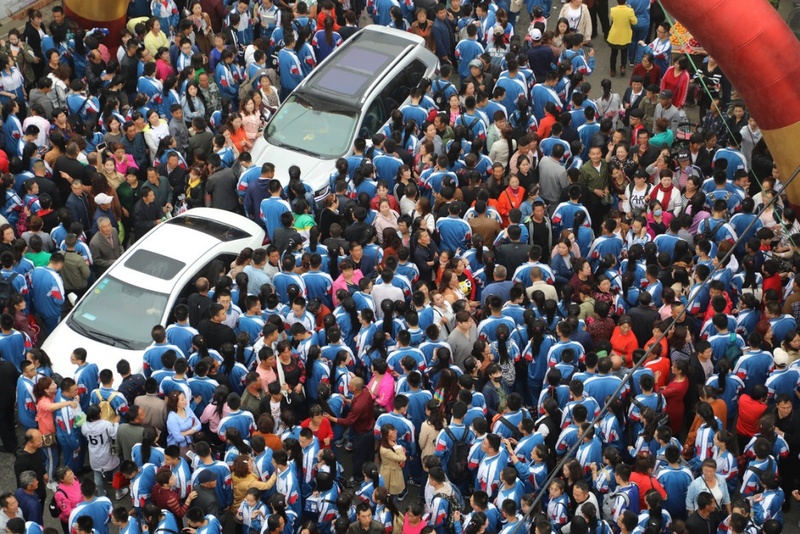 Nike is selling 299-yuan ($47) T-shirts emblazoned on the back with the Chinese characters for “full marks” and the prerequisite swoosh on the front. Others favored Champion, owned by HanesBrand Inc, or Supreme, a U.S. brand in which Carlyle Group has invested. Adidas and Hollister, owned by Abercrombie & Fitch, were also in the mix. 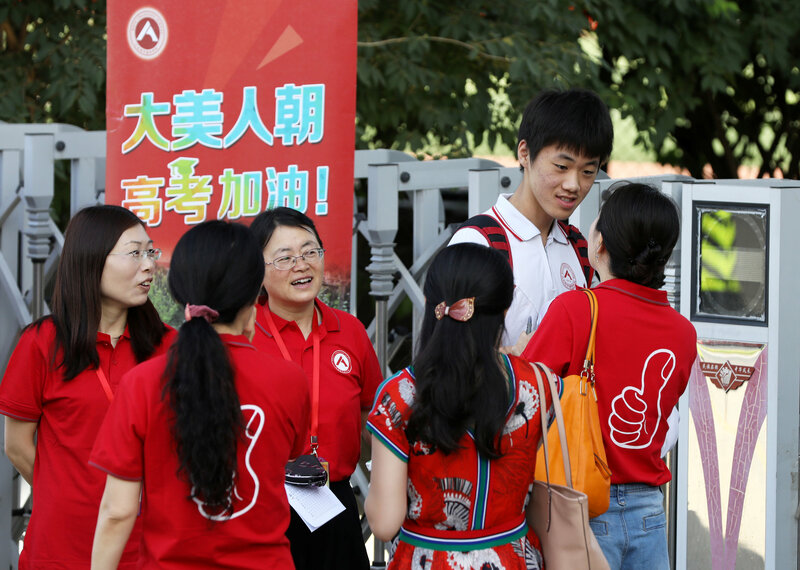 Red, a color associated with good fortune in China, found favor among both students and parents. An Weiling, 49, a teacher from Beijing Hepingjie No.1 Middle School, said all her colleagues were wearing red T-shirts. Some mothers wore the traditional cheongsam, or qipao. One mother, dressed in pink, said she would wear a different colored outfit for each day of the exam. 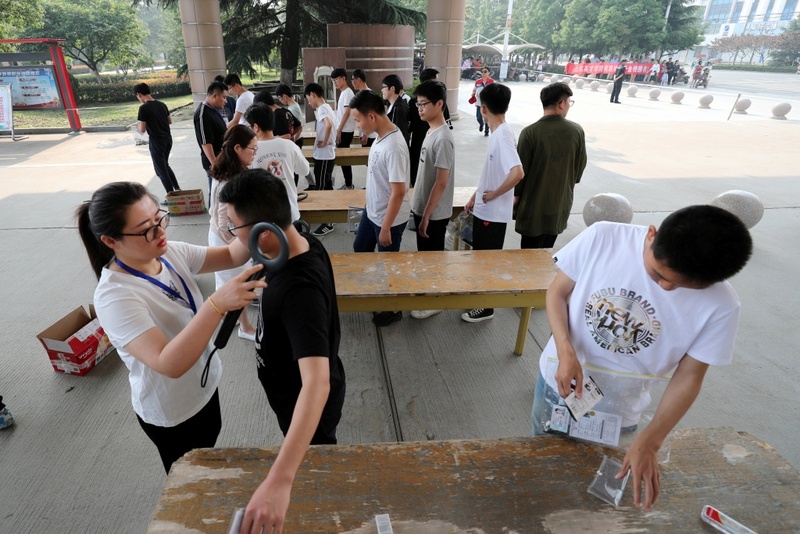 The government expects 9.75 million students to do the exam this year, the largest number in eight years, most of them “millennium babies” born in 2000, the Chinese year of the dragon.